Bullying happens in life and not only to children. It is important to develop some good strategies early on that help children and adults to handle it effectively and minimize its impact on us as individuals. First, we need to identify it correctly. Sometimes what we call bullying is simply rude or mean. If a person says something thoughtlessly that offends us, that is rude behavior. If they offend or hurt us intentionally one time, that is mean. Bullying is repeated mean behavior that is intended to exert power over another person. 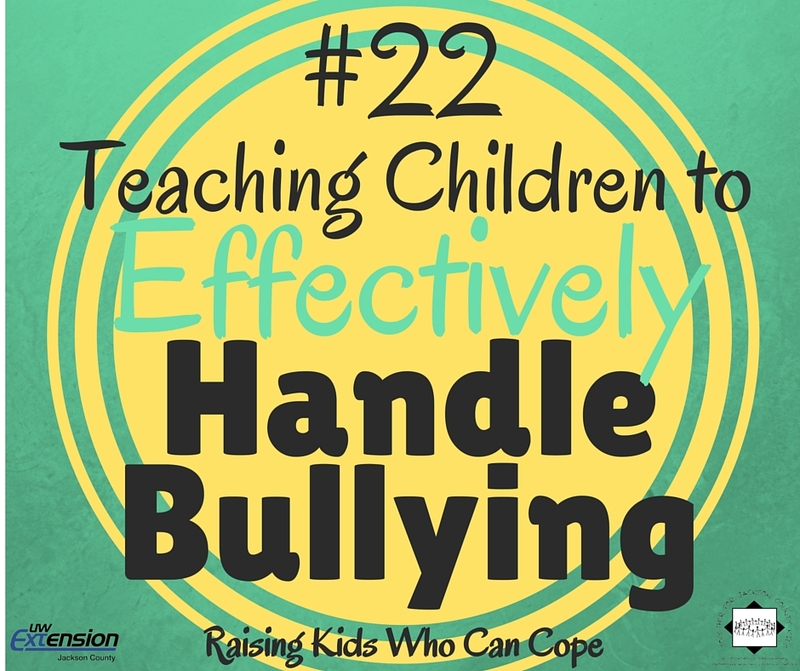 So, how can we support our children when it is definitely bullying? Before we ever address how to stop the bullying, we need to stop and make sure our children understand that what is taking place does not change the good core of who they are. Build their self-confidence so they know they are loved. Let them know the best way they can withstand the bullies’ words or actions is to believe in their hearts that they do not deserve to be treated poorly. Remind them that they are powerful people, not victims, and if they are sure they are physically safe, they can choose to speak up for themselves. Discourage responding to bullying by being bullies. Help them identify allies who will stand with them and hopefully stand up for them in the face of bullying. And let them see us, as adults, caring enough to stand up for others when it is needed. Olsen, J. & Pace, K. (2013). Be SAFE: Safe, Affirming & Fair Environments. Michigan State University Extension. East Lansing, MI.